Do you find it hard to say ‘no’? Commit to things just to be nice? 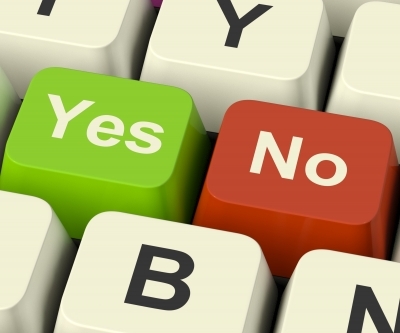 Say ‘yes’ without thinking it through – and later regret it? I’m a natural ‘yes’ person. I’m up for almost anything and always love to help. This makes me prone to overcommitting and begrudging the very things I said ‘yes’ to in the first place. I’ve become a lot better about saying ‘no’ since reading ‘The Power of Less’ by Leo Babauta and subscribing to his Zen Habits newsletters. Here he shares his wisdom about The Art of Saying No. 1. You want to help. You’re a kind soul at heart. You want to help where possible, even if it eats into your time. 2. Afraid of being rude. Some of us are brought up to believe that saying ‘no’ is rude or inconsiderate. 3. Fear of conflict. You’re afraid they might be angry if you reject them, which could lead to negative consequences in the future. 5. Not burning bridges. Some people take ‘no’ as a sign of rejection. It might lead to bridges being burned and relationships severed. If you nodded to any of the above reasons, I’m with you. But over time, I’ve realised they’re misconceptions. Saying ‘no’ doesn’t mean you’re rude or disagreeable. Nor does it mean there’ll be conflict or lost opportunities. And it definitely doesn’t burn your bridges. It’s how you say ‘no’ that affects the outcome. You have your own priorities and needs, just like everyone else. Saying ‘no’ is about respecting and valuing your time. Use this if your plate is full at the moment. If it makes it easier, also share what you’re busy with so the person can understand better. This is a great way to (temporarily) hold off the request. Firstly, you let the person know it’s not a good time. Secondly, the person doesn’t feel blown off. This is a gentle way of saying ‘no’. It’s encouraging as it lets them know you like the idea (of course, only say this if you do) and there’s nothing wrong about it. This is more like a ‘maybe’ than a straight out ‘no’. If you’re interested but don’t want to say ‘yes’ just yet, use this. It gives you more time to think about it before committing. The simplest and most direct way to say it. Don’t think so much and just say it outright. Drop the guilt over saying ‘no’. What are you going to say ‘no’ to? Share in the comments below. I honestly don’t have a hard time saying no to other people, but I struggle when it comes to my kids. Because we have a large family, I always try to make sure the children have equal opportunities to do sports etc. I don’t want the younger kids to get the shaft. But there is only one of me and I have had to learn that sometimes no just means, not right now. But oh the guilt! Mom guilt is always the hardest!